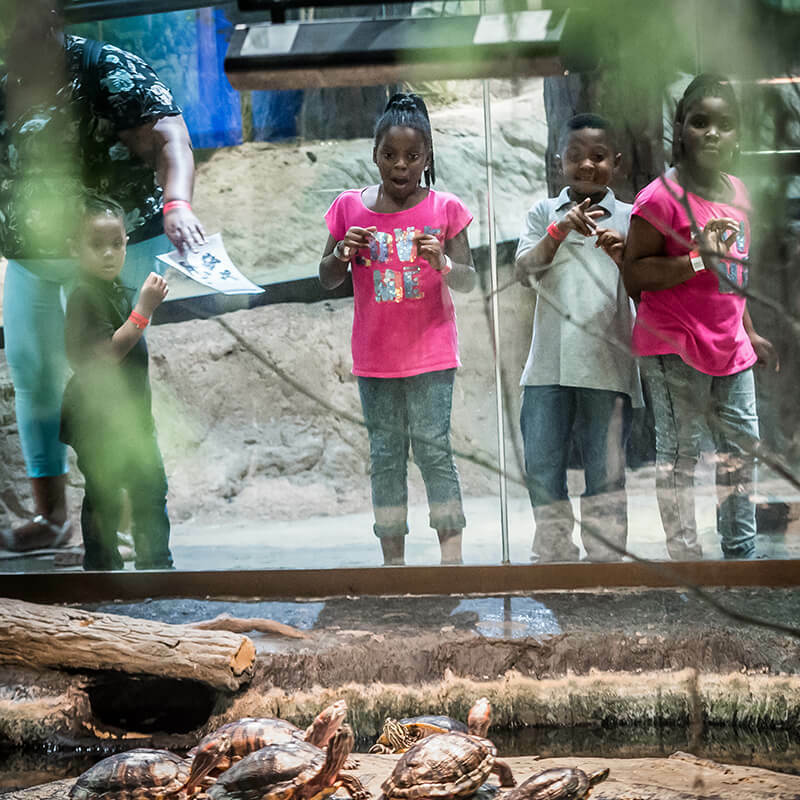 Take a “hike” across the dynamic ecosystems of Florida and see live animals in their diverse habitats. 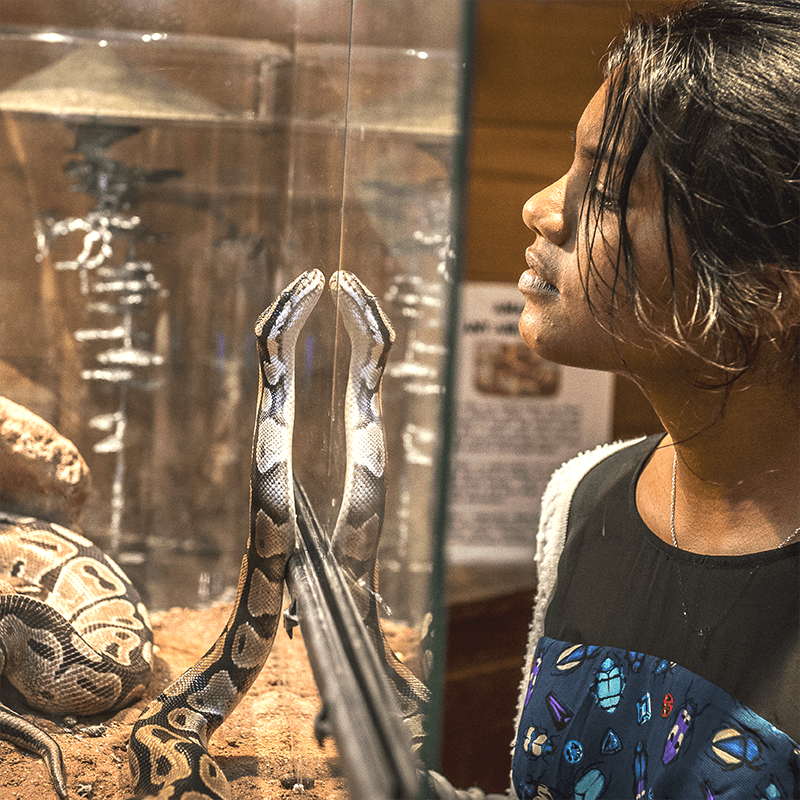 Meet the fish, reptiles, amphibians, and mammals call NatureWorks home on your next visit! 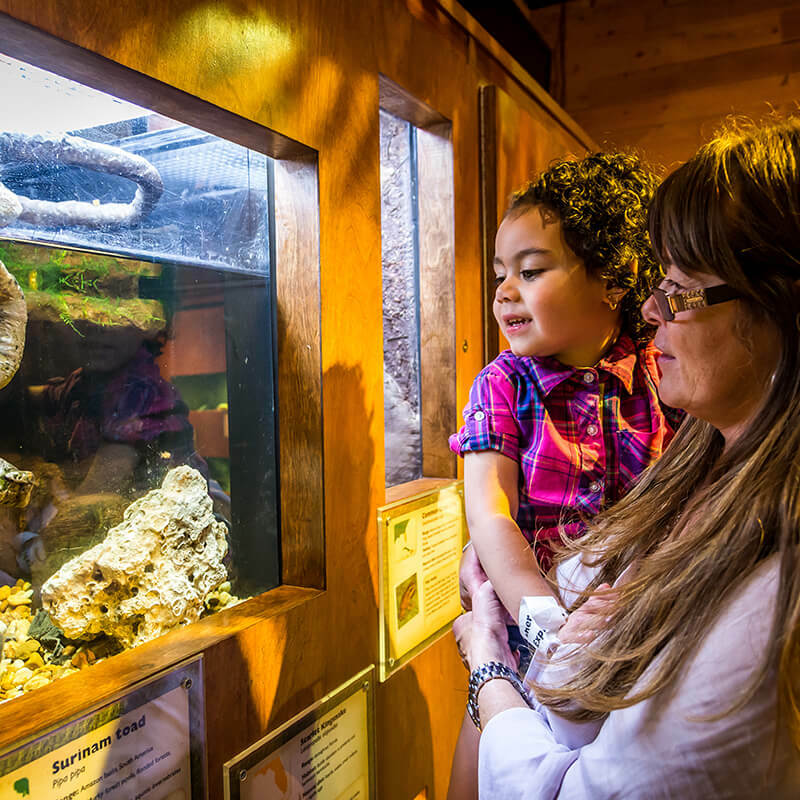 In NatureWorks, you’ll learn about the amazing animals and plants that inhabit coral reefs, mangrove forests, cypress swamps and other Florida environments, along with other areas around the world. 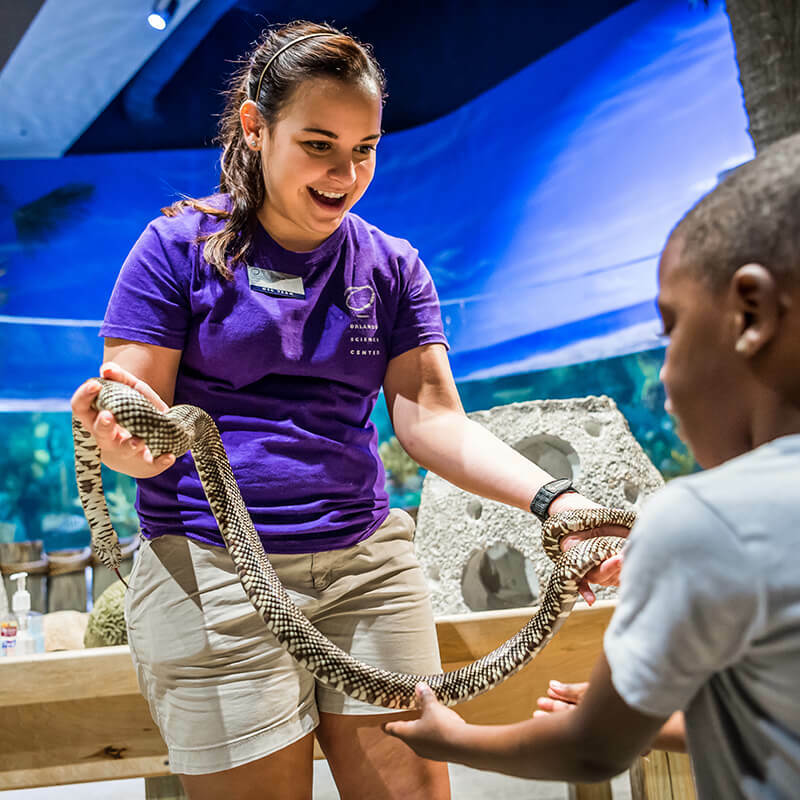 Discover what lies deep within the Floridan Aquifer, learn how to identify some of Florida’s native and invasive species, and observe animals in their unique habitats to understand their amazing adaptations! 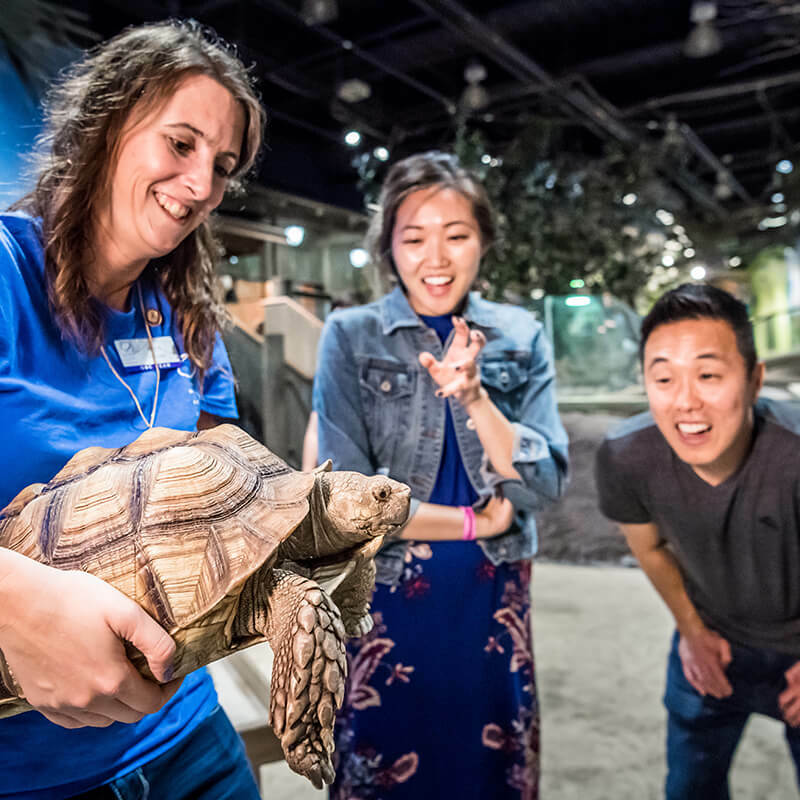 Within the exhibit hall, there are frequent opportunities to hear from a NatureWorks animal keeper and encounter some of our Animal Ambassadors up close at their scheduled encounters! 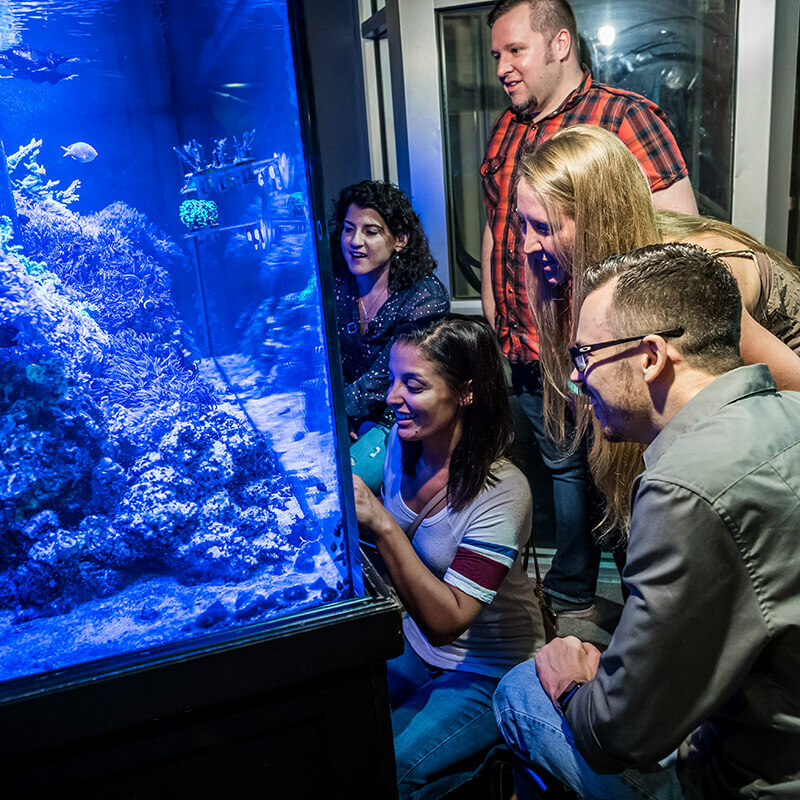 Check out Fish Feeding Frenzy to learn more about the animals that inhabit Florida’s reefs, or join us for Swamp Talk to meet the fish and reptiles that live in Florida’s cypress swamps.